The Recreation Vehicle industry has grown by leaps and bounds over the last decade. One of the industry leaders is the Pace Arrow. Pace Arrow RV drivers have been able to travel the country, accumulating thousands of miles by trusting the repairs and maintenance that Coopers Auto Repair Specialists in Tacoma, WA provides. We understand that RV care is usually about family and loved ones, and enjoying the open road together. Caring for all of your RV repairs means caring for all of your loved ones too. Don’t trust that important maintenance to just anyone. Leave it in the hands of professionals who specialize in your RV. We don’t just know RVs, but we know your RV specifically. When planning your next family road trip, company outing, or team travel itinerary make sure the good times keep rolling right along with your RV. Any drive train or chassis repairs to your RV should be brought directly to us. 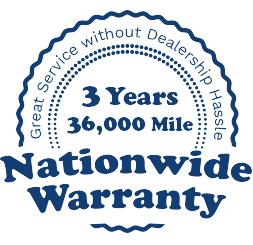 It’s our sole objective to make sure you never experience any service needs while on the road. Chances are you’re traveling quite a distance away from our expertise, and we want to be confident you don’t run into any problems while you’re out. There’s one way for us to confident, and that’s for you to let the technicians at Coopers Auto Repair Specialists make sure everything’s in good condition. You take your RV travel seriously, and so do we. We’re not only the best option to protect the lives of you and your passengers, we protect the memories that will be created. That’s what RVs are built to do, create new memories. The lasting memory of any family excursion should be of the amount of time you spent waiting for a tow truck. Coopers Auto Repair Specialists in Tacoma, WA are a big part of preserving your memories. All that you need is to bring your Pace Arrow to one of our Tacoma locations and we’ll give you a thorough inspection regarding your road readiness. Maybe you want to repair an old issue in order to become ready for the road. We’re the best place stop in the Tacoma area for any and all Pace Arrow repairs and maintenance.